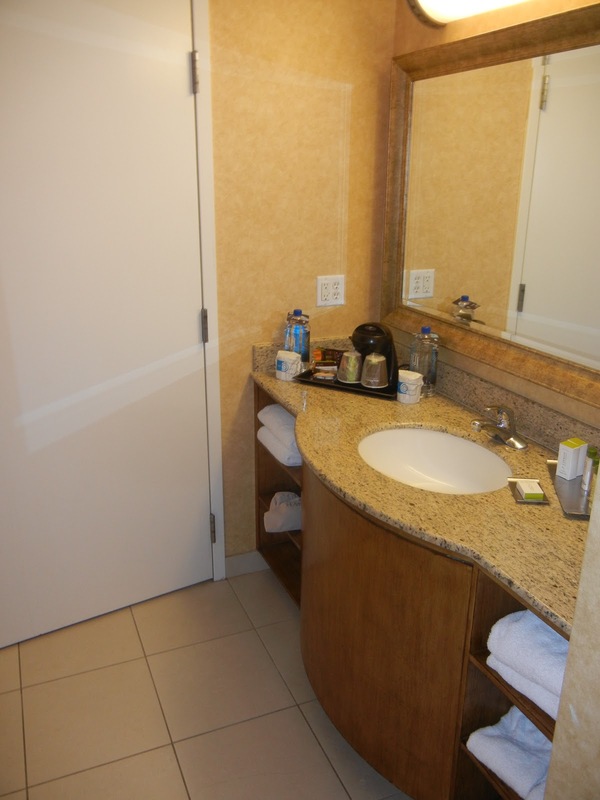 I recently stayed at the Doubletree Suites by Hilton Hotel Anaheim Resort – Convention Center (long name, right?) 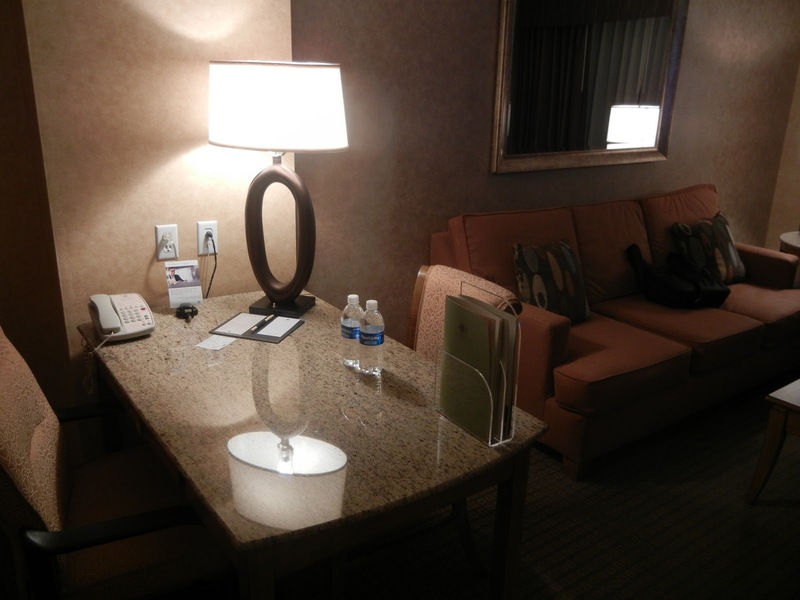 – this was my first time ever at a Doubletree Suites. I must admit I was pretty impressed. 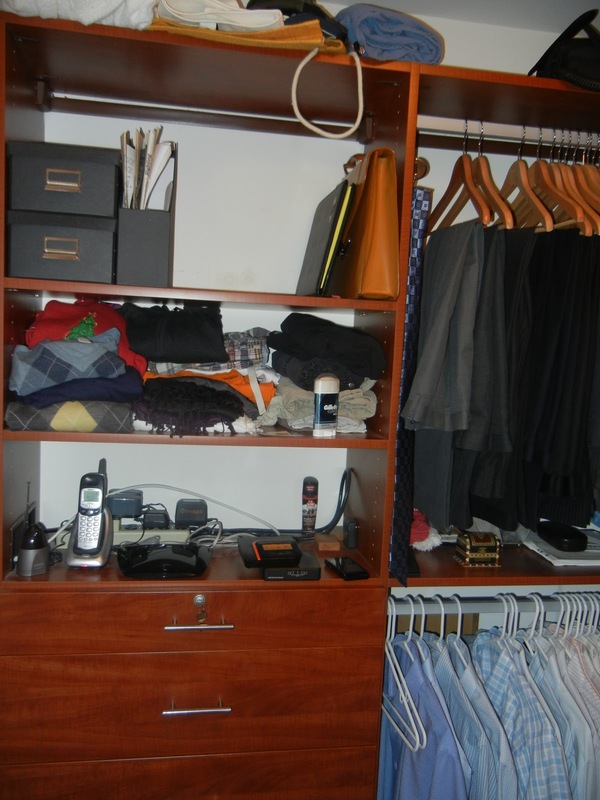 This property is just a mile away from Disney and the Anaheim Convention Center is just a block or so away too. We were not going to either of these locations. We were in Anaheim for a quick meeting (meeting was in Diamond Bar). We reserved our rooms 12 days prior to arrival and got a great rate of $140 all in. Our flights were outrageously late — we arrived at the hotel at 02h00. Check-in was easy — of course there were no other people checking in. We were given a welcome cookie, which was quite nice, since I was starving. 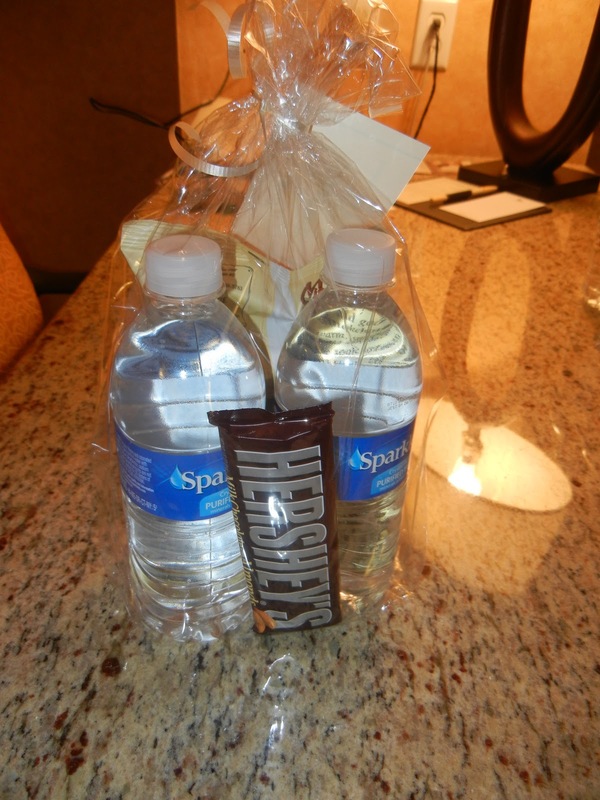 We were also given a check-in amenity that included two bottles of water, a bag of potato chips as well a chocolate bar. Nice touch. We went to our rooms and I was surprised by size. This room had a living room, and a bedroom with two queen beds. I don’t know for sure, but I believe the couch in the living area pulled out to a bed. 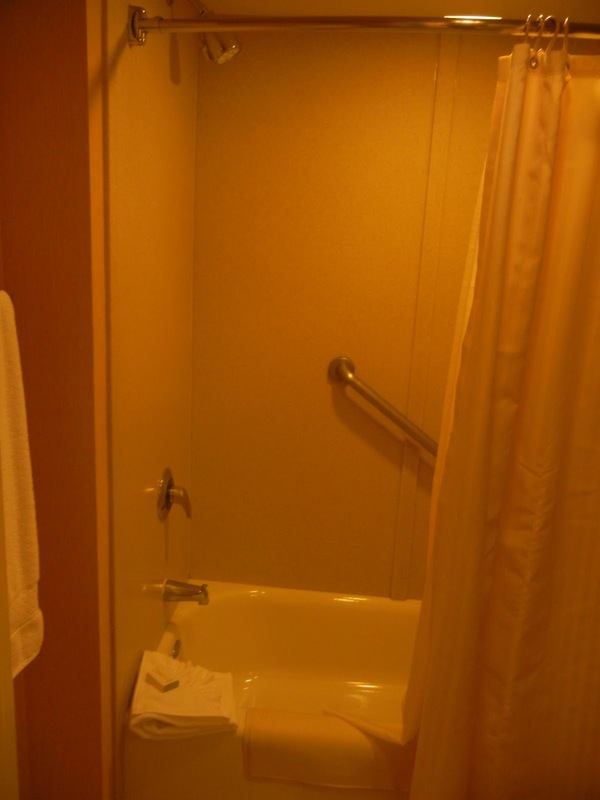 The bathroom was acceptable — nothing really to write home about. 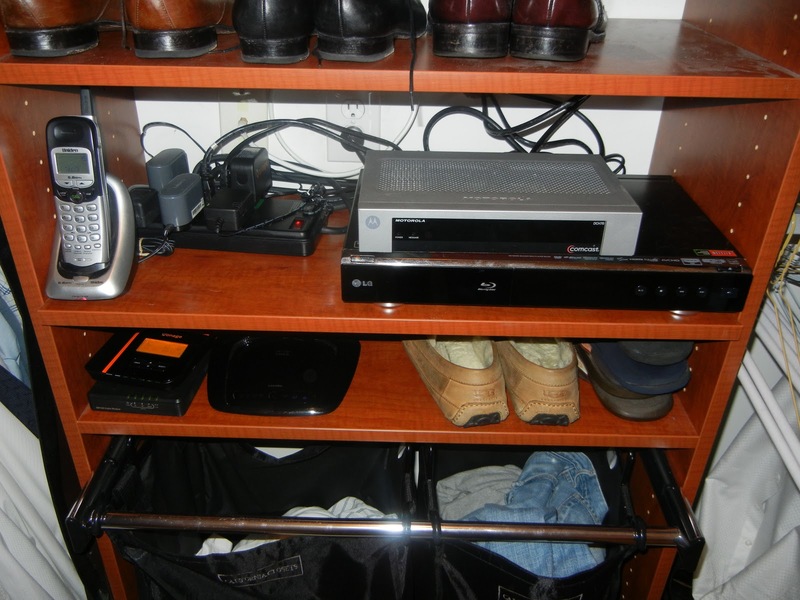 The remote to the TV in the living room didn’t work and the remote to the TV in the bedroom wouldn’t work on it either. I went to bed around 03h00 and was up at 07h00 for meetings. During that four hour window, I slept pretty well without waking up once (which I rarely do, no matter where I am sleeping). We ate breakfast (complimentary because of Gold Status) at the buffet, which was standard hotel buffet food. It was nice that the server did continually refill our orange juice – I hate when you are at a place like this and you don’t get juice refills. 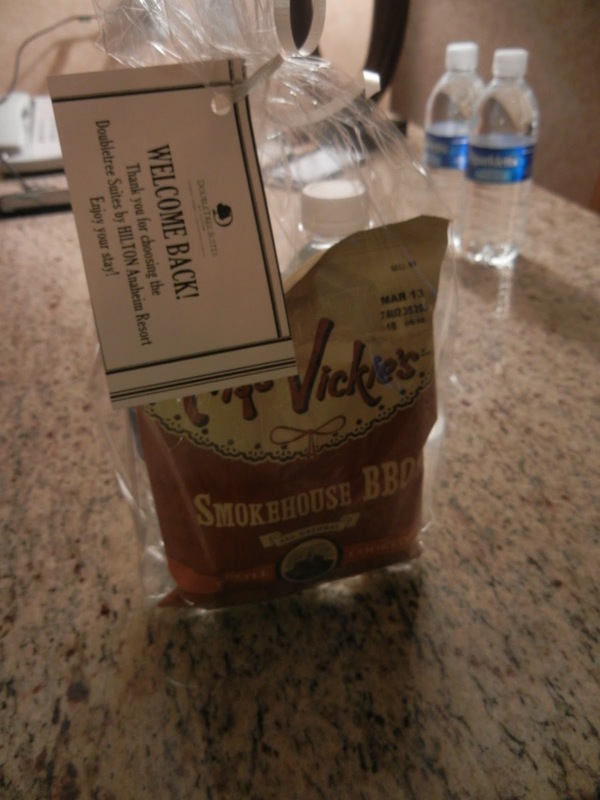 I didn’t spend much time at the hotel and while there I only had interactions with the overnight front desk clerk and the breakfast buffet server and they were both very personable and helpful. The room was quite quiet — although January isn’t really peak season for Disney — who knows if it is like this at other times throughout the year. I’m not a Disney guy — but if I were, or if I were traveling with kids, I’d definitely stay here. If I had a reason to go to the Anaheim Convention Center, I would stay here too. I will definitely keep Doubletree properties on my list of possible hotels. 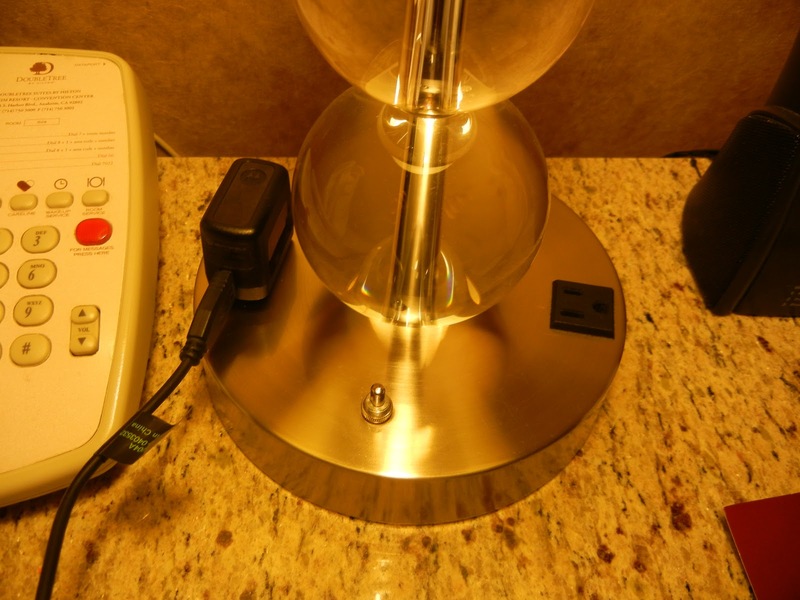 One thing that I really loved about this hotel, I mentioned earlier on my Hotel Pet Peeves post — there were ample plugs and two connected to the lamp. How great. I wish every hotel had as many outlets as this room had. Kudos. 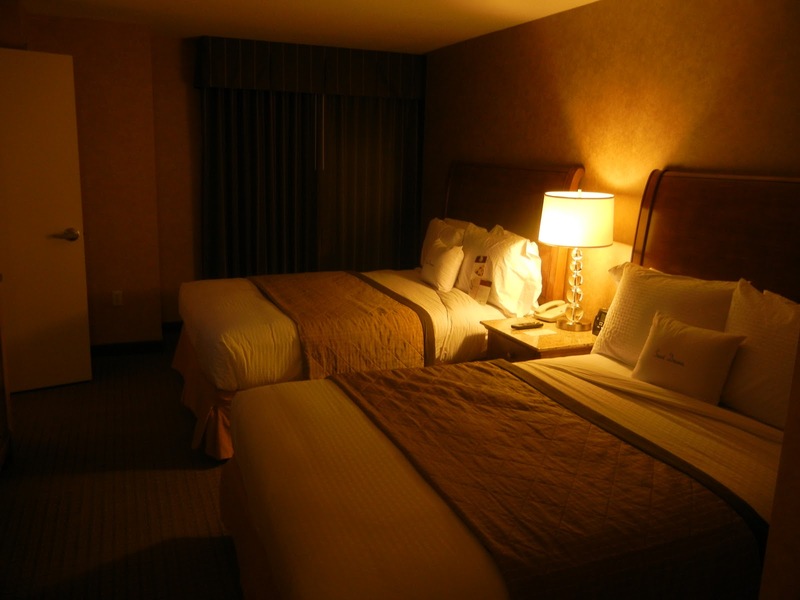 Have you ever stayed at a Doubletree? How about in Anaheim? Have you recently spent 11 hours on a plane to then spend 4 hours sleeping and then attending a 4 hour meeting? 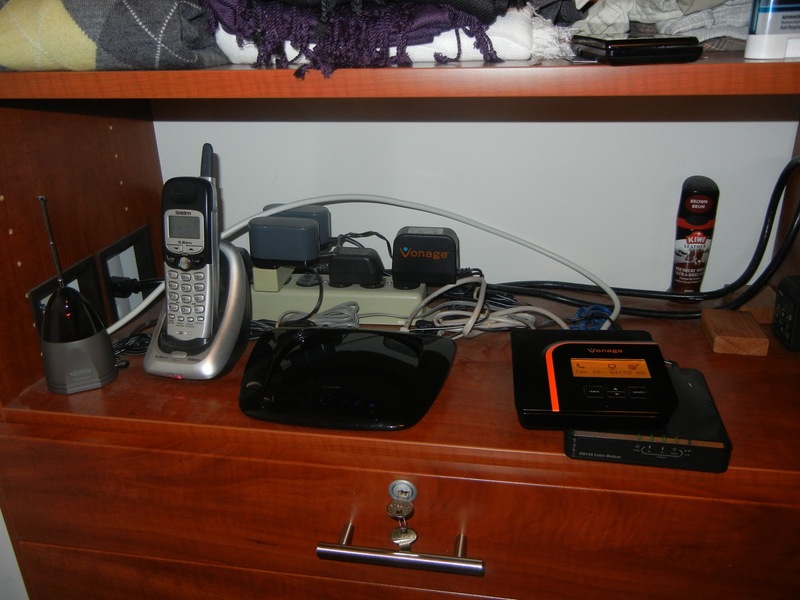 Do you find you get much better service if you are an elite member in a hotel’s loyalty program? 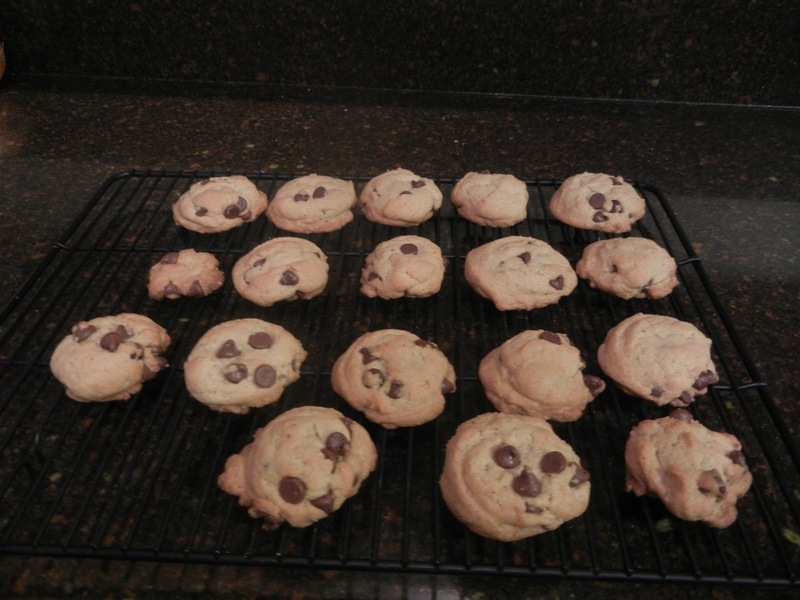 This is the second recipe I made from Giada at Home’s Everyday Ingredients episode. The first was this wonderful Artichoke and Mint Soup, reviewed earlier this week. 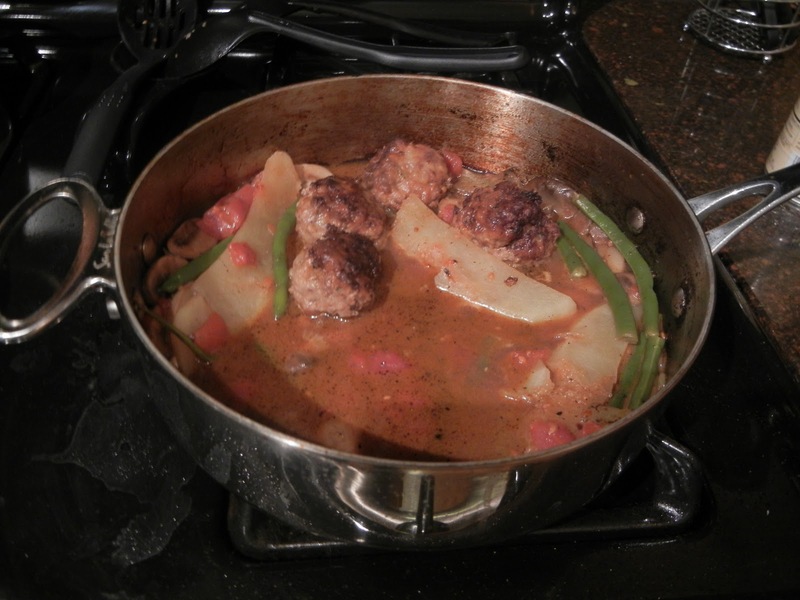 This Hearty Meatball Stew was served as the main course last Saturday night. While it isn’t a traditional stew, in my mind, a stew is a hearty soup with a heavy tomato base. This was more of a soup served with a broth versus my mental picture of a stew. 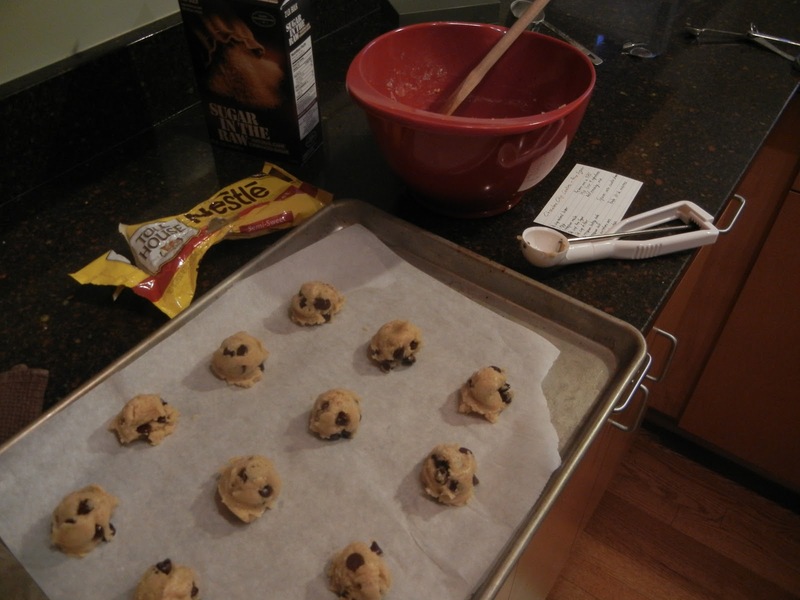 As before, I won’t restate the recipe, because you can find it here, but I will tell you how I made it and what I suggest for the next time I make it. Instead of using two mild/sweet Italian Sausages, I used one spicy sausage and one mild sausage partnered with the ground beef. It added a nice depth of flavor but wasn’t overly spicy. I also forgot to add in the red pepper to the pot. 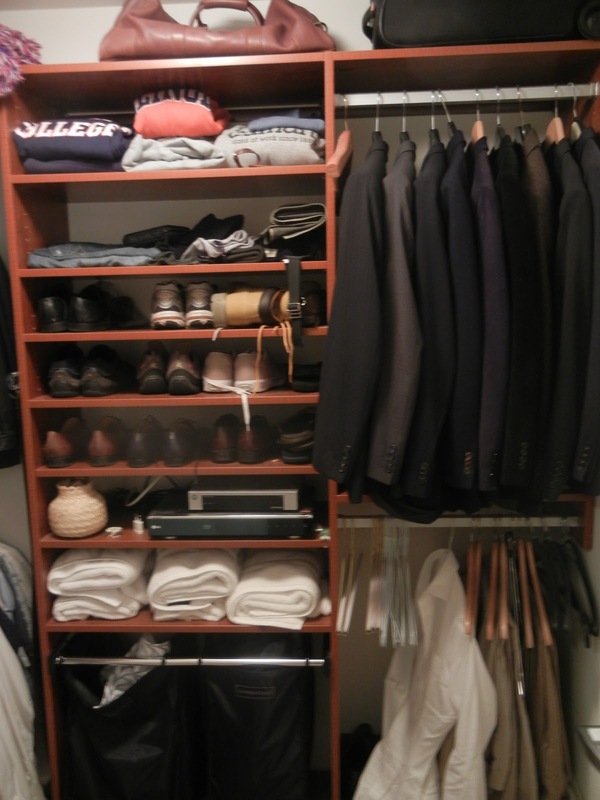 Just completely forgot about it – I didn’t even realize I missed it until I was cleaning up the kitchen after dinner. It might have been nice to include, but it wasn’t a deal breaker, I don’t think. Next time I will add this to the pot though. 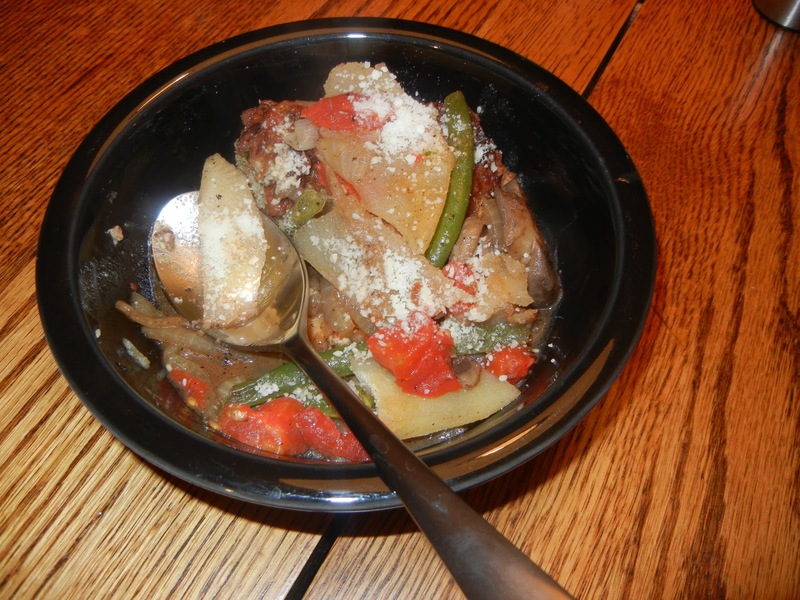 I really like the lengthwise cut potatoes – they were perfectly tender and was a nice change to the chunked potatoes you usually see in a stew. I think I would add twice as many canned tomatoes next time — I absolutely love tomatoes and just can’t live without them. Since this more of a broth based stew, I think you need to include a nice piece of bread to help sop up the left over broth. I served this in a bowl, each person getting two meatballs, some potatoes, green beans and tomatoes. We opted to add some bad canned Parmesan cheese — for some reason I didn’t have any shredded Parmigiano-Reggiano in the fridge (perish the thought, I know). So, would I make this again? Yes. It was pretty easy and pretty flavorful. I would make it again, even without my additions/deletions noted above. 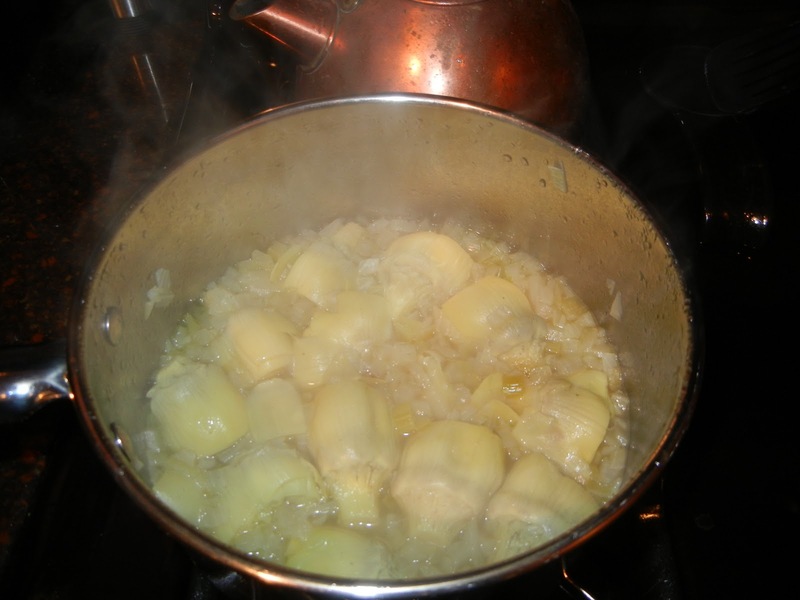 One way to make this a little heartier (and will probably make any Italian food aficionados out there just roll their eyes (and perhaps cry or yell), don’t include the potatoes in the pot, but make a batch of mashed potatoes and serve this stew/soup over the potatoes. It will make it much heartier and would be nice on a cold winters day. I haven’t tried this of course, but it sounds pretty good to me. Do you make meatballs from scratch often? What is your definition of a stew? Do you often find that you’ve prepped an ingredient and just completely omitted it from the recipe — finding it only when you are cleaning house?